The Knesset. Photo: Itzik Edri via Wikimedia Commons. 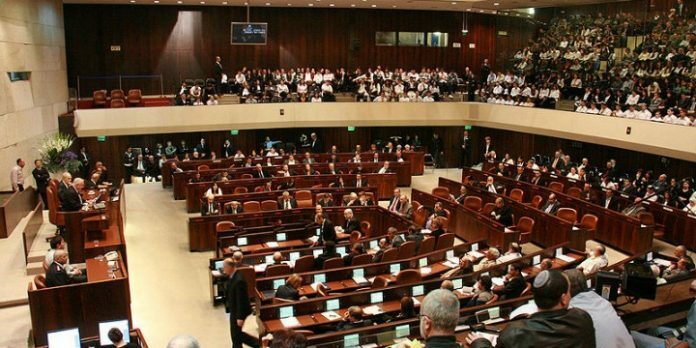 The Israeli Knesset’s passage on Thursday of controversial legislation known as the “nation-state bill” drew mixed reactions from Jewish groups around the globe. “We respectfully ask the Government of Israel to clarify these and other questionable elements of the bill, and to reaffirm the core principles and values that make up the very foundation of Israel’s vibrant and admired democracy,” the AJC concluded. “Now that this law has been passed by the Knesset, the State of Israel has an obligation to ensure that, in practice, this Basic Law is not used to discriminate against minorities, particularly its Arab citizens, and that the state maintains its commitment to improve relations between Jews in Israel and those around the world,” Greenblatt said. The National Council of Young Israel (NCYI), on the other hand, welcomed the law. “As The Israeli-Jewish Congress, our very mission since inception has been the promotion of the principle of Israel as the nation-state of the Jewish people,” Sloutsker said. “This law simply correct a long overdue injustice and enshrines this very basic and fundamental principle. Israel shall always remain a strong, proud and vibrant democracy, and there is nothing in this law that will diminish that.